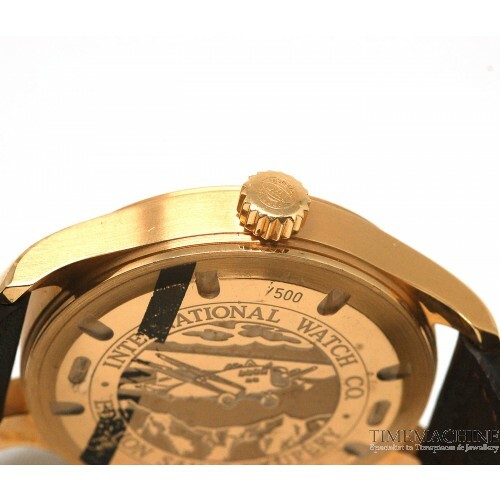 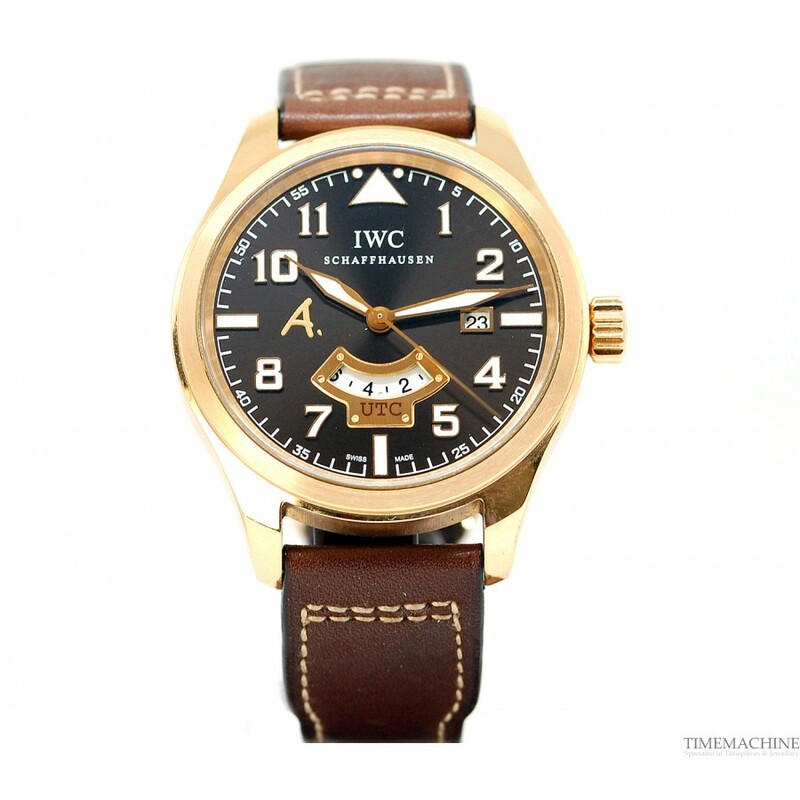 Pre Owned IWC Movement: IWC caliber 30710, base ETA 2893, Swiss Made, Movement winding: Automatic, Complications: Date, second time-zone, Power reserve: 42 hours, Case material: Steel / Rose gold / White gold, Case diameter: 44.00 mm, Case height: No data, Dial: Chocolate brown, Water resistance: 60 meters, Strap: Brown leather strap, Crystal: Sapphire, Back: Solid, engraved. 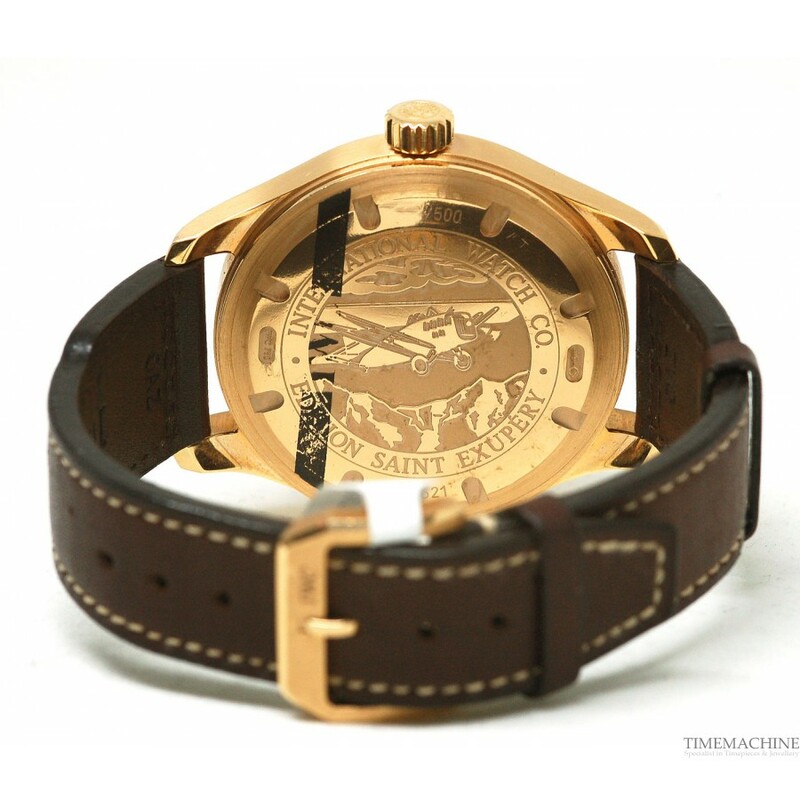 Please quote TIW352M in all communications with us regarding this Timepiece. 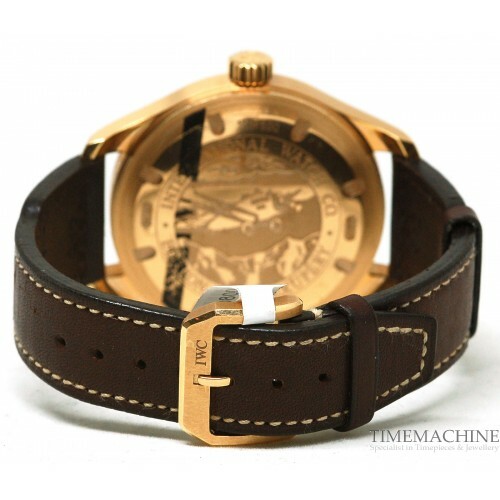 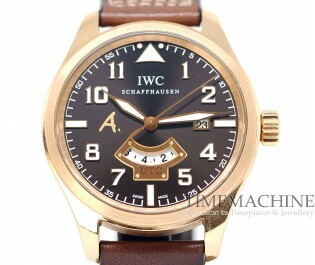 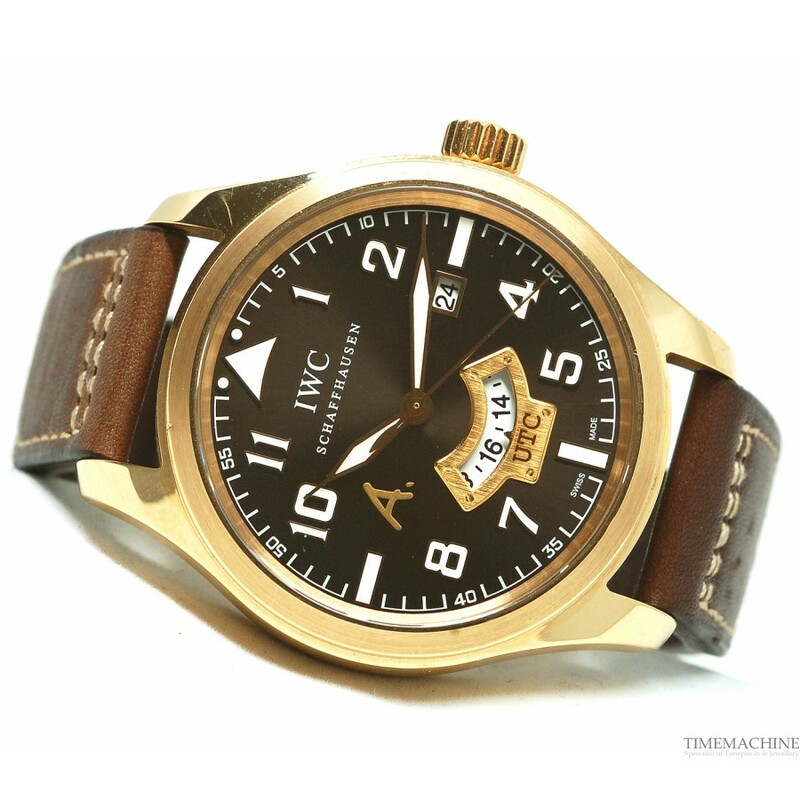 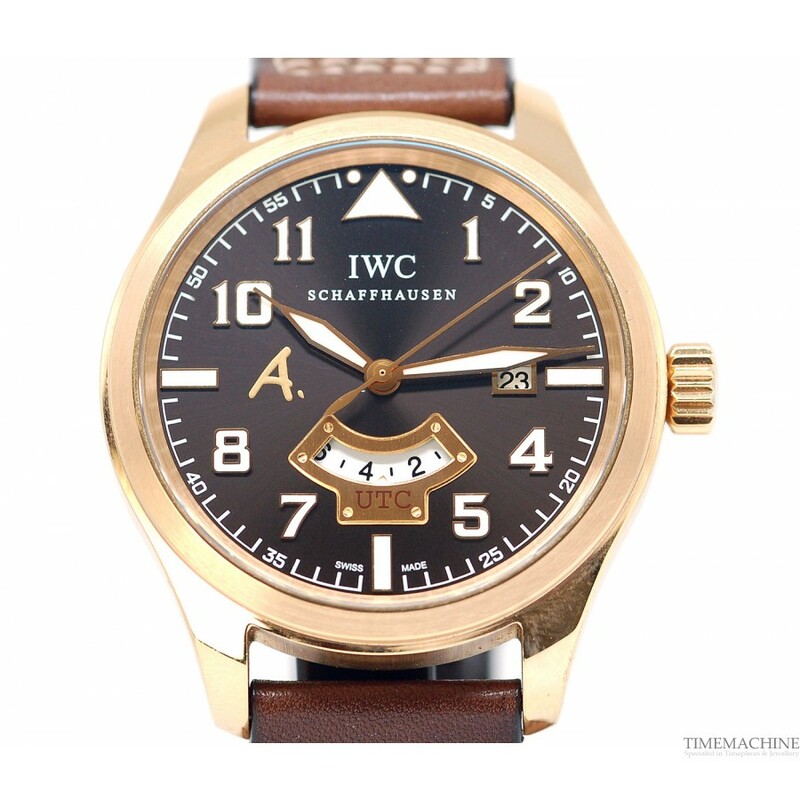 IWC pays homage to one of the best French writers of 20th century who was also a successful aviator. Joining the French Air Force in 1939, Exupery died in July 1944 when his Lockheed P38 Lightning plane disappeared somewhere over the Mediterranean Sea during a reconnaissance flight. 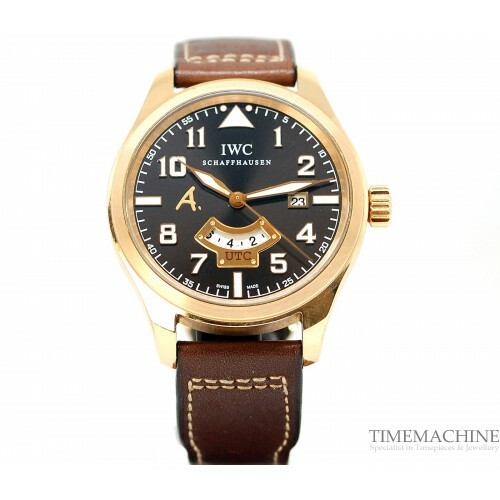 Two years ago the company unveiled a limited edition of its IWC Pilot’s Watch Chrono-Automatic Edition Antoine de Saint Exupery (Ref. IW3717).